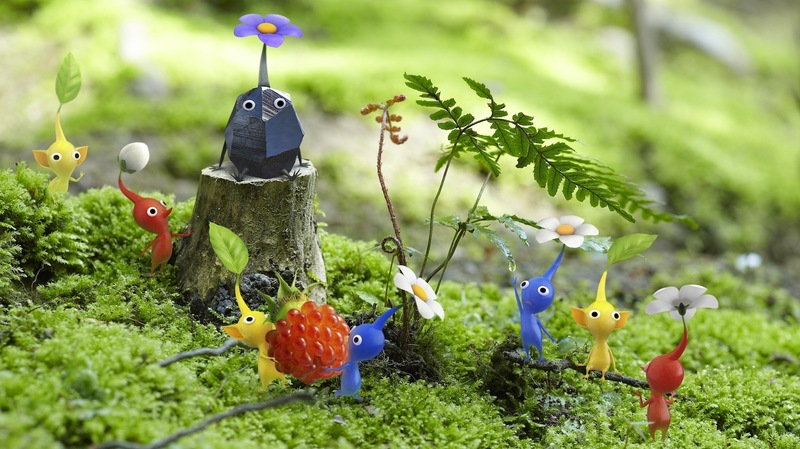 This week Nintendo has issued a new trailer to show off the latest set of downloadable content for Pikmin 3. The DLC was announced during the Nintendo Direct that was offered in November, new content for the players to enjoy the game will playing as the protagonist of the first to two games, Captain Olimar, for just one level. The extra three content packs have a total of four battle and four treasure remixed stages for just $1.99 each, as well as a mission mode map pack with eight brand new environments for just $4.99. The news missions mode stages take you to new environments including Beastly Caverns, The Rustyard, Forgotten Cove, and Clockwork Chasm. In some levels players will have to scout out Louie, Olimar’s assistant. If players find him and take him back to their base, players will be able to control Louie as well. In the trailer below, you’ll get to see some of the new environments Nintendo has to make you enjoy and play more Pikmin 3, including a the new Fortress of Festivity. This level is available to all players that update their game to the latest version. It has players scrounging around a house in the midst of a Christmas celebration looking for food and defeating monsters. All the three mission mode packs are now available and can be found in the Nintendo eShop. The Collect Treasure stages 7-10 costs $1.99, the Battle Enemies stages 7-10 costs $1.99, and the All-New Mission stages 12-15 costs $4.99.